Pictures of Ferguson protesters shutting down America’s highways. 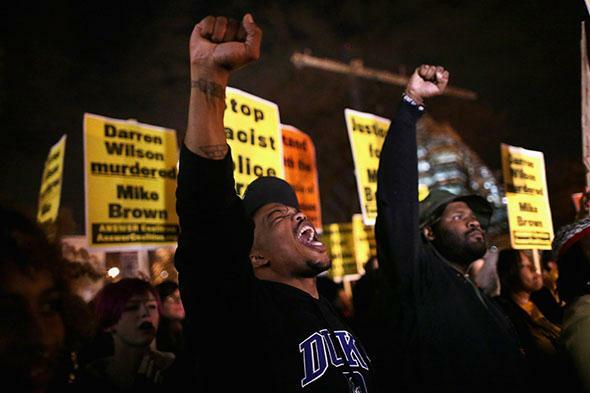 Protests grew in size and intensity across the country on the second night of demonstrations over the grand jury’s decision not to charge Ferguson police officer Darren Wilson with a crime for the fatal shooting of unarmed teenager Michael Brown. On Tuesday evening, demonstrators spilled into the streets—and shut down highways across the country in protest.